Conni Global - Incontinence products for any one. any age. 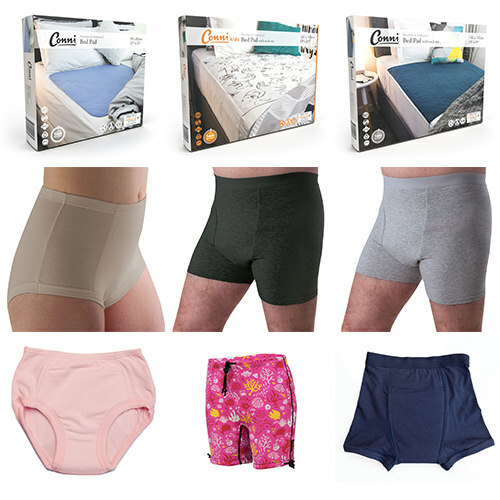 Conni - Incontinence Products - Any one. Any age. Incorporating Conni, ConniKids, Conni Critters and Pick-Pocket: Galway Trading’s global distribution includes New Zealand, South Africa, United States, United Kingdom, Japan and Europe. Our products are used in commercial laundries, aged care facilities, hospitals and in the home. Some of Conni's most popular products can be seen to the right. We manufacture Bed Pads, Incontinence products including underwear, toilet training aids for children, Pet Pads for your animals along with many other products. Conni Global - Any one. Any age.